Now that the snow has started, we can expect it to keep on coming. But that doesn’t mean we should stop enjoying all of the activities and cultural programs in the city. This week is filled with dance, music made from recycled glass, Olympians, fun times at Carnegie Hall, graphic novels and 100 books. Who’s up for the challenge of doing it all? Here’s the week ahead. You can always count on La Mama to bring more culturally rich programs to NYC. On Saturday, February 7, the Ellen Stewart Theatre will host a special kids workshop on Filipino Indigenous Dance. Kids will experience the Philippine Melayu Nusantara heritage through dance movements, colorful scarves, footwork and hand gestures. The musicians will usher in each dance routine with rhythms played on the sarunay, a wooden board with tuned metal plates tied onto it. This is a great opportunity to learn about new forms of dance, instruments and other cultures. The event starts at 11 am. Tickets are $5. Whether it’s food or music, the word fusion continues to be an ongoing trend. On Saturday, February 7, Josh and the Jamtones will take their blend of rock and ska beats to Symphony Space. This group is the “Simon Says” of interactive dance. Kids will spin, jump, bounce and wave their arms to up-tempo beats that just keep on coming. The group is really great and working the crowd and getting kids to play. So if you have an overactive child who needs an outlet, this is the place. Tickets are $21 for adults and $14 for kids. The show begins at 11 am. New York Times bestselling author George O’Connor will be appearing at Greenlight Bookstore's weekly Storytime event on February 7. 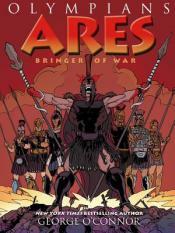 George will be reading from his latest graphic novel, Ares: Bringer of War, part of the Olympians series. If your kids are into Rick Riordan and the Lightning Thief books, then they may enjoy this. The show will also feature a cartooning demonstration. One note, the website suggests that this book is for ages 3 to 8 and up. However, I’d recommend this event more for middle school children and up. The book reading begins at 11 am. Every month, Books of Wonder hosts a Picture Book Bonanza for kids. On Sunday, February 8, you’ll get to meet four authors and illustrators for a special afternoon storytime session. 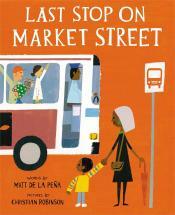 This month, the event features “And Away We Go!” by Migy, “Night Owl” by Toni Yuli, “Henny” by Elizabeth Rose Stanton and “Last Stop on Market Street” by Matt de la Pena. This event runs from 1 pm to 3 pm. This is a great chance to check out a collection of books and authors that may otherwise fly under the radar as well as a chance to support local authors. What better way to introduce your kids to the joy of music than a concert at Carnegie Hall that’s designed just for them? Carnegie Kids is a great program that encourages the next generation of artists and art lovers. Kids get to see concerts at one of the premiere venues for music in the world. On February 7, families will get to rock to jazz and cabaret music with the Itty Biddies, a musical smorgasbord of fun. The group plays positive tunes on keyboard, melodica, bass and ukulele. The show takes place at 2 pm in the Resnick Education Wing at Carnegie Hall. And, guess what? It’s totally free. Just make sure to call and RSVP ahead of time. On Friday February 6, the Enlace S.C. troupe from The Canary Islands and Barcelona, Spain will be appearing at the New Victory Theatre. The troupe will be presenting its Cambuyon show. This show mixes African, Irish, Spanish and American beats into one energetic performance. This group has a knack for making music out of everyday items, such as wooden crates and glass bottles. If you enjoy watching musicians on the subway who transform plastic plates into drums, then you’ll definitely enjoy this. The show runs through February 22. It is 60 minutes without intermission. Ticket prices start at $15. 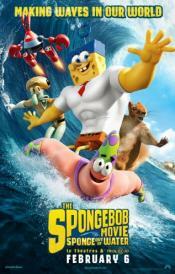 If your kids are a fan of Spongebob, then you’ve probably heard all about the Spongebob movie already. This film takes its cues from the latest superhero hype. Spongebob will embark on a quest that leads him into our world. He’s going to go toe-to-toe with a pirate in the hopes of discovering a stolen recipe. Yes, it’s a silly concept. But if you try to “understand” the magic of Spongebob, you’ll never quite get it. Expect lots of ridiculous, over-the-top powers inspired by your imagination. This movie opens on February 6. If there is one way to get your kids into reading, it’s through total immersion. So how about introducing them to 100 awesome children’s books? I’m talking about "Grimm’s Fairy Tales", "Where the Wild Things Are", "Alice’s Adventures in Wonderland", "Tom Sawyer", "Treasure Island", "Peter Rabbit", "The Wonderful Wizard of Oz", "Peter Pan", "Winnie-the-Pooh", "Charlotte’s Web", "The Cat in the Hat" and "Harry Potter" to name a few. The Grolier Club’s exhibit on One Hundred Books Famous in Children’s Literature comes to a close on Saturday, February 7. So there is still time to take your kids over there and show them all the great books you grew up with as well as a few more contemporary tales. Best of all, it's totally free to attend. This weekend is your last chance to check out the Thunderbird American Indian Dancers at the Theater for the New City. 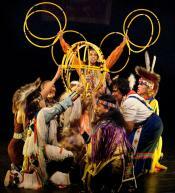 This lively performance features traditional dancers, music and stories of Native culture. This show is great for kids. They’ll love the hoop dances as well as other traditional dances. The colorful attire and lively music of this Pow-Wow are an instant draw for kids. Plus, it’s a great chance to supplement their history lessons. The show closes on Sunday, February 8. If you’ve got any picks for the week ahead, be sure to share them with our community.